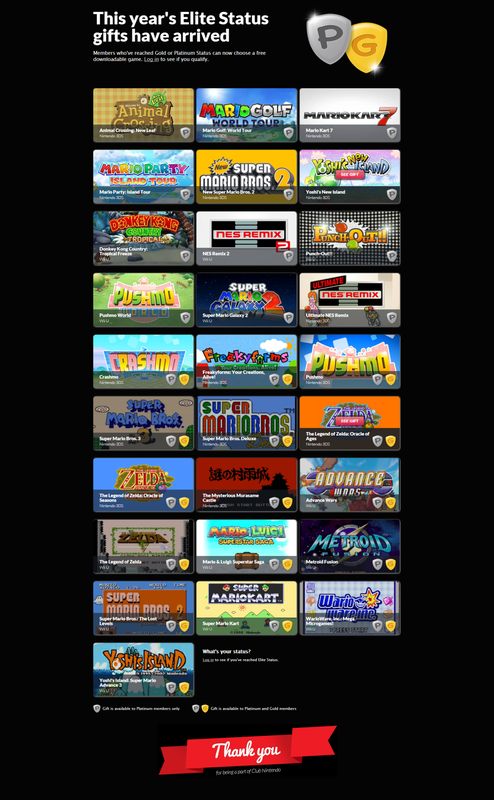 Tons of games available for redeeming. Club Nintendo officially expired all coins as of today, so what better time to announce the Elite rewards people can earn? Earlier this morning, the full list of games went up, and while not all of them are something to shout about, there are some great finds in there. The full list of games can be seen in the picture below, with their corresponding tier right under them. You can go to Club Nintendo to find out what you’re entitled to, although I would caution you to exercise some patience, as their servers seem to be taking a beating.